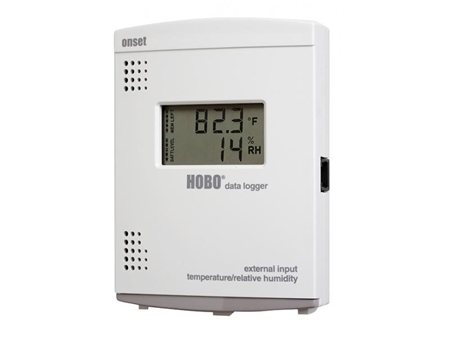 The HOBO U14 LCD External Temperature/Relative Humidity (RH) Data Logger displays and records temperature and humidity conditions. 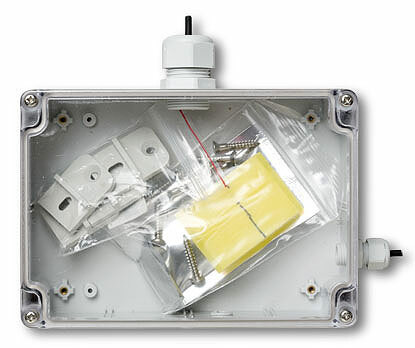 It is well-suited for use in manufacturing, processing, and storage environments where reliable monitoring and documentation of specific temp/RH conditions are critical. Data is offloaded via USB to a PC or Mac computer. An alarm display and built-in relay for use with Onset's Remote Alarm and/or Autodialer accessories assure timely notification of alarm conditions.